PR 2.5 - Fine Edge. The Gerber PR 2.5 has triple injection overmolds inside its glass-filled nylon handle. Not only does this make the knife look good, but it makes it comfortable as well. 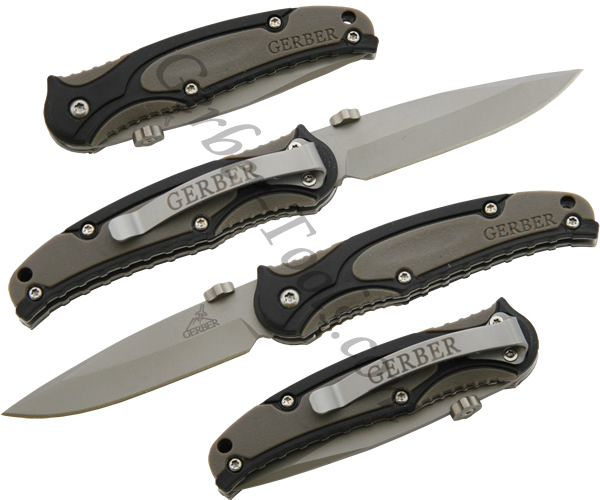 This Gerber 22-41579 model features a sharp fine edge blade. The thumb dial on the top of the blade can be used as a thumbstud to open the knife with one hand. The blade is held in place with a liner lock, and the pocket clip has the Gerber name engraved on it.